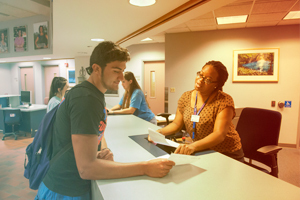 The University of Florida Office of Veterans Services administers a variety of educational benefit programs for veterans and their dependents. This bill provides up to 36 months of education benefits to eligible veterans. Generally, benefits are payable for 15 years following your release from active duty. The Post-9/11 GI bill is for individuals with at least 90 days of aggregate service on or after September 11, 2001, as well as those discharged with a service-connected disability after 30 days. These benefits generally apply to veterans who began active duty service for the first time after July 30, 1985, had their pay reduced $100/month for 12 months and received an honorable discharged. Called "MGIB" for short, this bill provides up to 36 months of education benefits to eligible veterans. Generally, benefits are payable for 10 years following your release from active duty. This program may be available to you if you are a member of the Selected Reserve for the Army, Navy Reserve, Air Force, Marine Corp, Coast Guard, and the Army National Guard and the Air National Guard. Eligibility for this program is determined by the Selected Reserve components. You may be entitled to receive up to 36 months of education benefits. Your benefit entitlement ends 14 years from the date of your eligibility for the program, or on the day you leave the Selected Reserve. 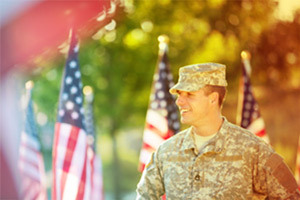 Veteran's eligibility is dependent upon a discharge that is other than dishonorable; has a service-connected disability rating of at least 10%, or a memorandum rating of 20% from the Department of Veterans Affairs; applies for Vocational Rehabilitation and Employment VetSuccess services. May be used 12 years from the latter of the date of separation from active military service or the date first notified by VA of a service-connected disability rating. Your Vocational Rehabilitation Counselor (VRC) will work with you to determine if you meet the entitlement criteria. Notate confirmation number and submission date. You will need to input this information during the following steps. Complete the UF Enrollment Certification Request. 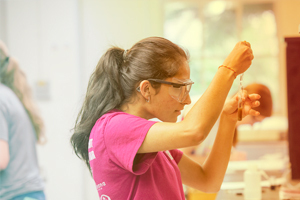 Students completing form before the fee payment deadline will be placed on tuition deferment. It is student's responsibility to ensure tuition and fees are paid by the deadline. Submit a copy of the certificate of eligibility to the Student Veteran Services Office. Ensure copies of official transcripts from all previous institutions attended have been submitted to the UF Office of Admissions. This includes a copy of your Joint Services Transcript (uses a private military SSL).